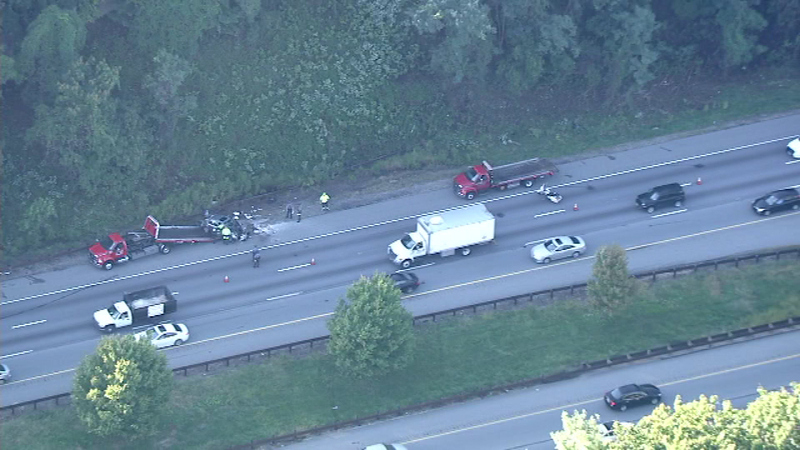 Chopper 6 was over the scene of a crash on I-476 on Wednesday morning. 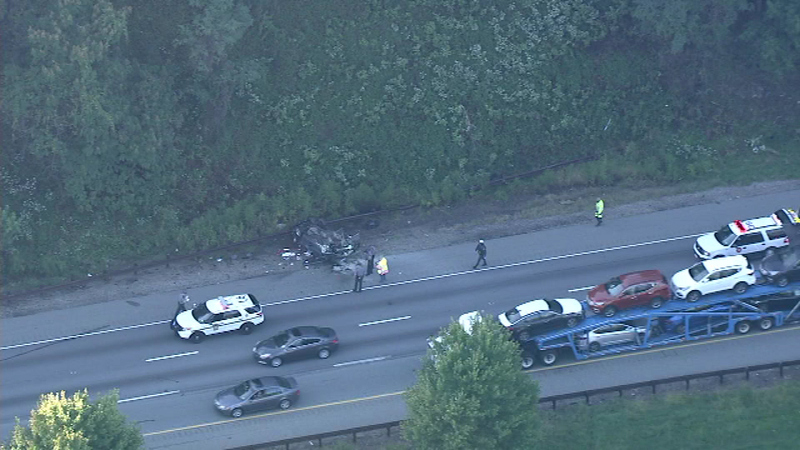 RADNOR TWP., Pa. (WPVI) -- A serious crash is jamming traffic on I-476 North in Radnor Township, Pa. 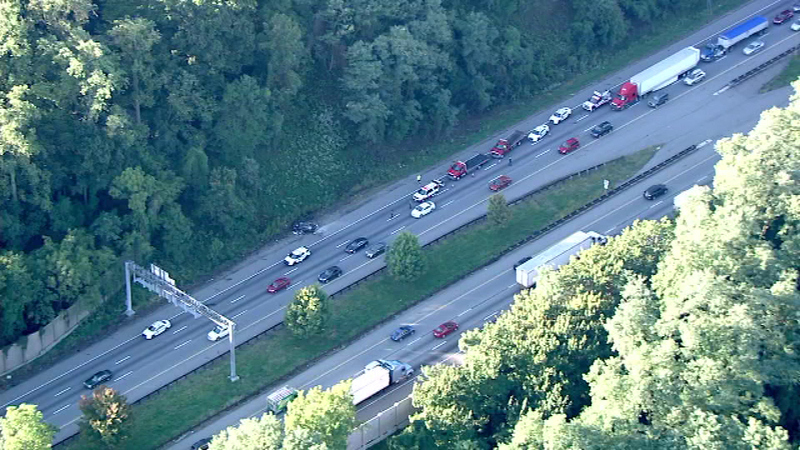 It happened before 7:30 a.m. Wednesday approaching I-76. 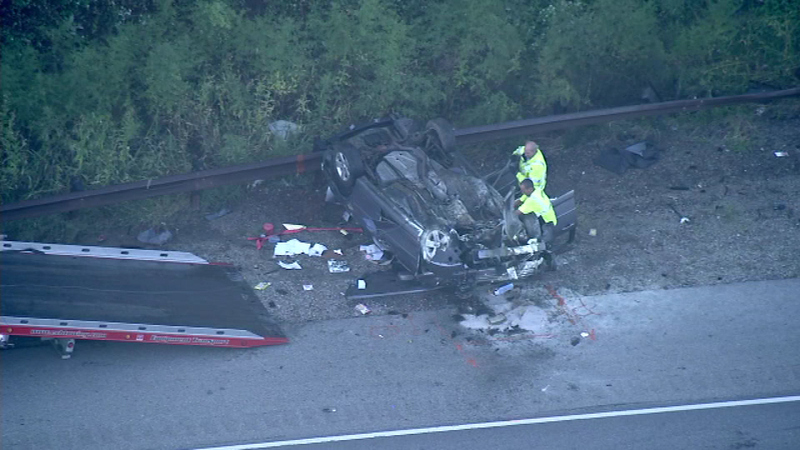 The crash caused at least one vehicle to overturn. 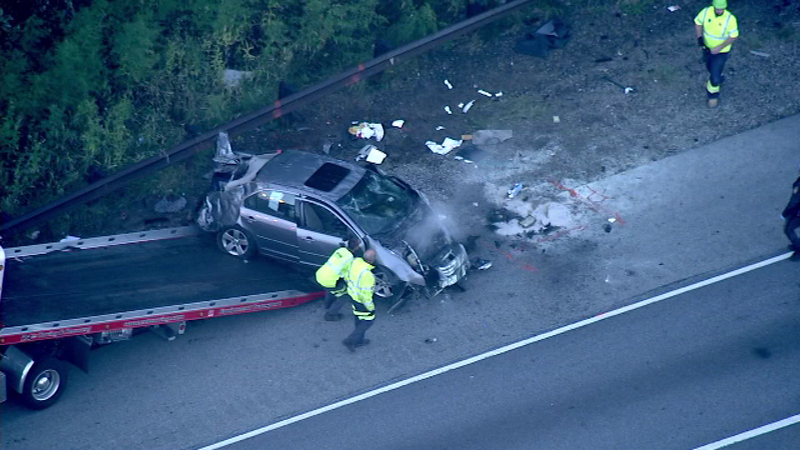 A serious crash jammed traffic on I-476 North in Radnor Township, Pa.
Video from Chopper 6 HD showed a heavily damaged SUV that appeared to have caught fire. 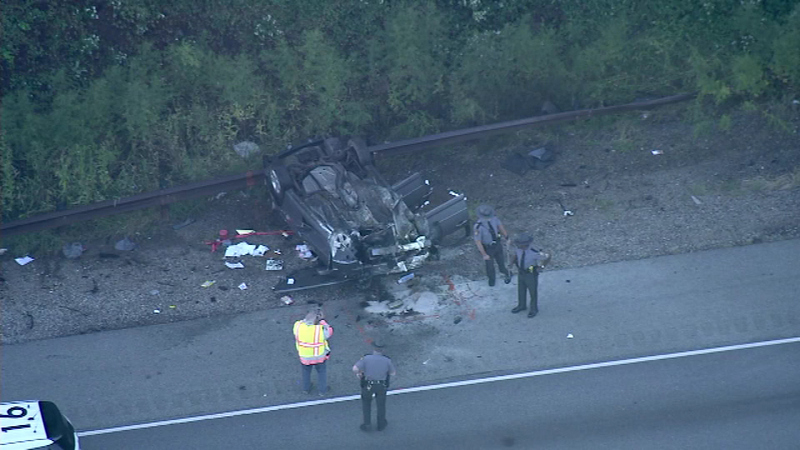 Action News is told at least one person was transported from the scene by a medical helicopter. 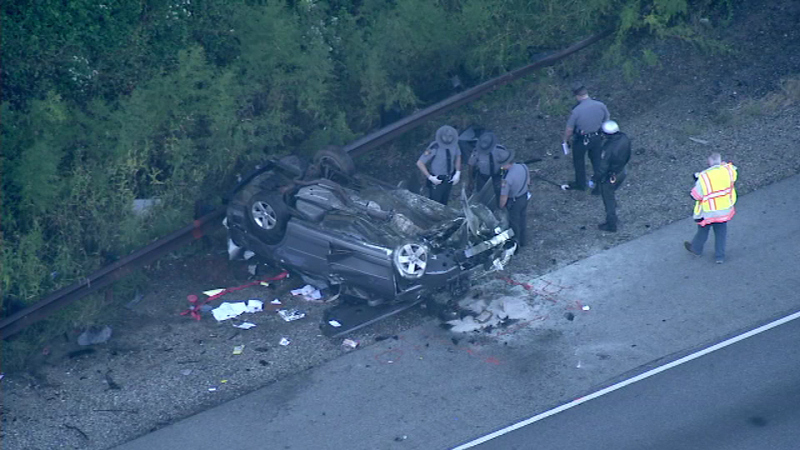 There was no immediate word on the number or extent of injuries from the crash. 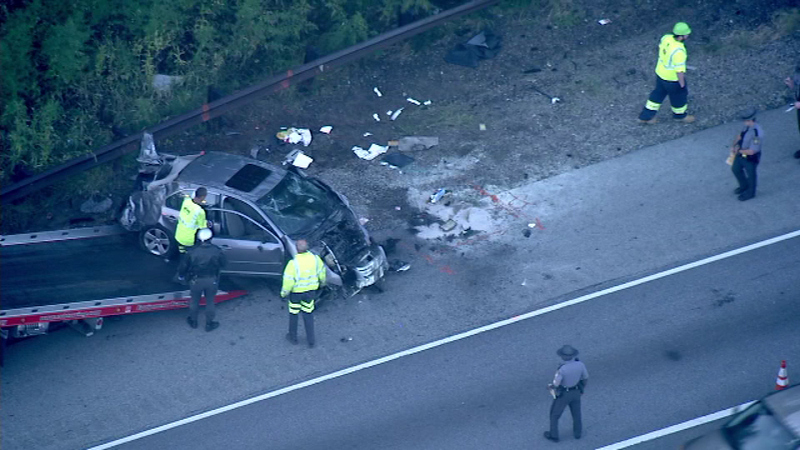 Efforts to transport the injured and clear the wreckage prompted police to shut down all lanes of the highway, resulting in a miles-long backup that extended south to I-95. 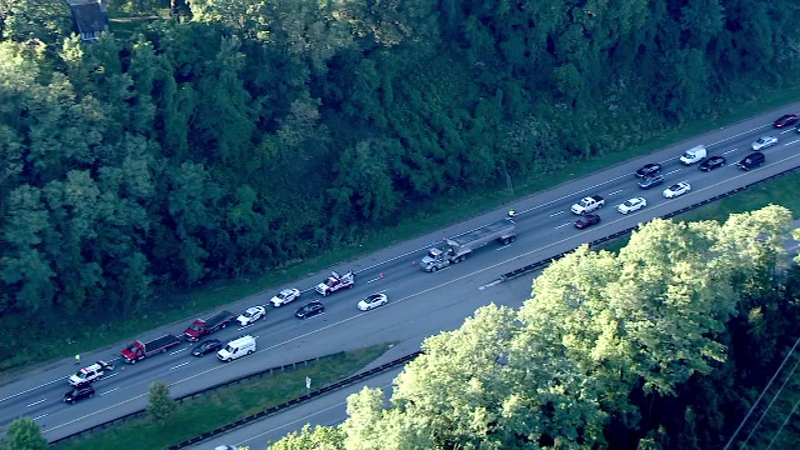 The crash was cleared by 8:30 a.m. but an extensive backup remained. 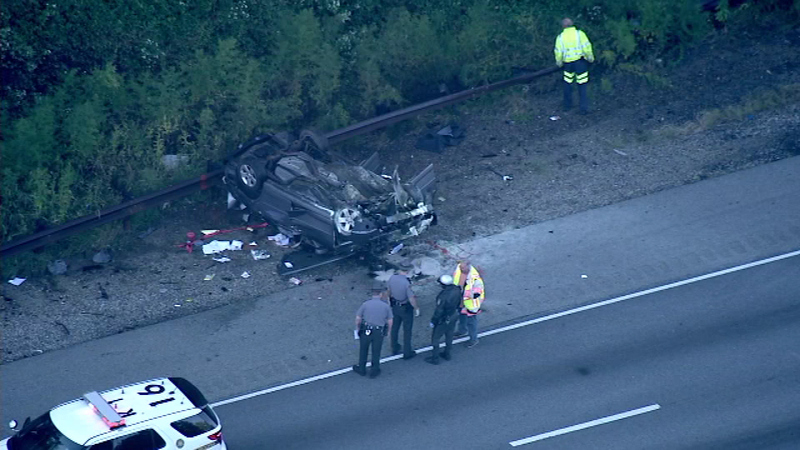 Motorists were advised to seek alternate routes.